Being English and a big fan of sparkling wine, it's no surprise that I am a BIG supporter of English sparkling wine. Although there are a handful of really great still wines from the greatest country on earth (no not that one, I mean England) - Laura has already told us about a handful of brilliant reds - for the time-being, it is in fizz production that we have the potential to stand out alongside all the other top wine producing countries in the world. As with any country, there are a few producers who really are ahead of the game, who manage to tick all the boxes with regards to presentation, marketing and of-course quality! I have picked out 3 wines that I think are well worth trying as they really represent the best of English sparklers, with the quality and the all-round package to rival the wines of Champagne. 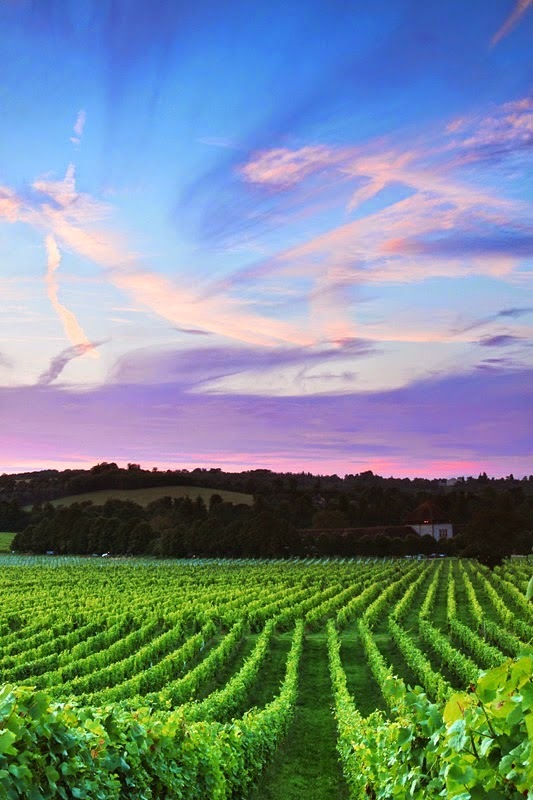 Nyetimber's Demi Sec is something a little different and as a style is a first for England. Nyetimber is arguably the top-dog for elegance and quality, their Classic Cuvée is a benchmark for others and their rosé, although not cheap, is stunning. Not to mention that all of their wines have won bags of awards. So when Nyetimber started to produce Demi Sec from 100% Chardonnay, it wasn't really going to be anything other than brilliant. It is a really fresh and lively wine that has lots of flavour, including honey, citrus and tangerine. Being a Demi Sec, it is slightly sweeter than you normally expect from 'Champagne style' wines, this makes it a lot more attractive to people who don't tend to like the bone dry 'Brut' wines. The only problem is that not enough people know this wine is available yet so it's well worth picking up a bottle now so you can brag about knowing it back when it was all cool and underground. I have chosen this over Champagne more than once and have never known anyone be disappointed having tried it. 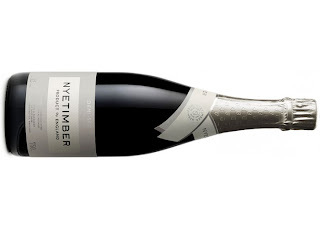 Nyetimber Demi Sec is currently on offer from Yorkshire Vintners for the very reasonable price of £29.50 - not exactly dirt cheap but this is a seriously good wine and a bargain compared to the RRP. Next up is Ridgeview's Bloomsbury; a blend of the three Champagne varieties although predominantly Chardonnay. This is the classic Brut style of sparkler, bone dry, crisp and refreshing. Having won many awards such as IWSC Gold, this is a great fizz that you can't really go wrong with. 'Ridgeview' may ring a bell because in 2010 they won the Decanter international trophy for sparkling wine over £10, beating hundreds of others, including Champagnes almost three times the price! TAKE THAT FRENCHIES! Relatively light in style, this makes a delicious and easy drinking aperitif. You can pick up a bottle of Ridgeview Bloomsbury for just £21 from The Wine Society. 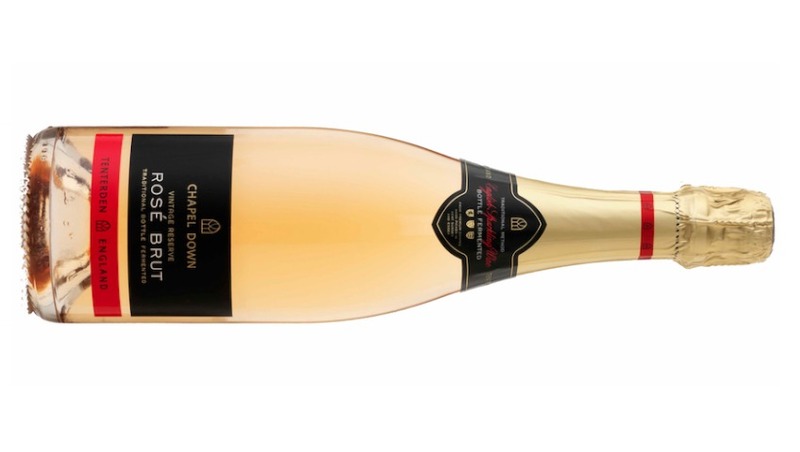 If Rosé is your thing, you should have a go on Chapel Down's Brut Rosé which is 100% Pinot Noir and is, in their own words 'A classic grape variety in a modern style'. It is a really nicely balanced sparkler with a mouth-watering, crisp acidity and lots of nice red fruit flavours. This is a perfect wine for a BBQ so when the sun comes out, grab a bottle quick before it rains again. Chapel Down is possibly the easiest of these three English Fizzes to find as it is stocked in Marks and Spencer (although slightly confusingly with a different label) for £22 a bottle. If you have never tried an English sparkling wine before, with it being English Wine Week, what better time to right your wrongs than now? We conduct Vineyard Tour for a opportunity to learn firsthand our experience with the wine makers.